Plastic pp lumps made by pp bags , white pali , raffia bags waste etc. We are leading supplier of PP Lump. Price Range: Rs. 36 to 50 per kg. Pp Lumps in 20 filter. With the valuable assistance of skilled team of professionals, we are engaged in offering an extensive range of high quality PP Lumps. We offer to our honored patrons the first-class range of Recycled PP Lumps. We are offering a high quality of LD Plastic Lumps. These are available in the market with a very cost effective price. 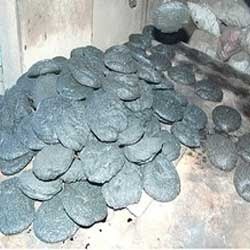 Keeping in mind ever-evolving requirements of our respected clients, we are offering a premium quality array of PP Lump.